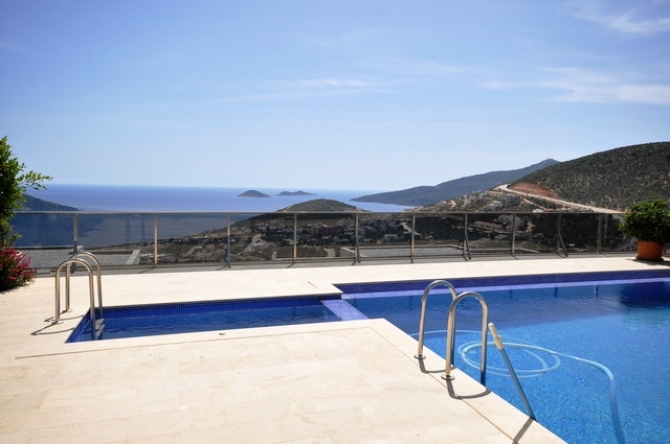 This brand new spacious 5 bedroom villa has breathtaking panoramic views from every floor. At the entrance floor there is a large open planned fully fitted kitchen with breakfast bar and finished with granite work tops, 1 bedroom and WC. 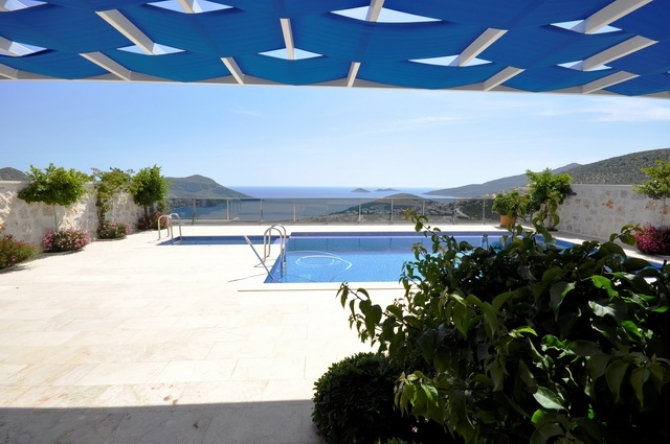 The living area opens onto the sun terrace and swimming pool area. Every bedroom is of a generous size and have their own private bathrooms which are all finished in marble. The master bedroom has a shower with bath tub.